Bath time can be a joyous time filled with adventure and creativity for a child, but when the fun is done it’s often important for our sanity as parents that the tub remain mostly neat and organized. Modern baby design company Boon makes this popular and cute whale-shaped bath toy scoop that lets you clean up and store toys in one scoop while the water drains out the tail. 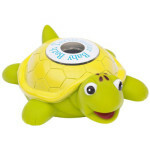 The removable scoop connects easily to the wall-mount head, resulting in a functional yet minimal and adorable bath toy storage option. Impossible from your experience? Don’t worry, it’s not! Sometimes you just need the right bath toy storage tools to keep those toys creatively tucked away yet accessible enough for your child’s next bath time. It can be a challenge to keep the many bath toys your child likes to play with under control, but the right organization product can go a long way towards this end. 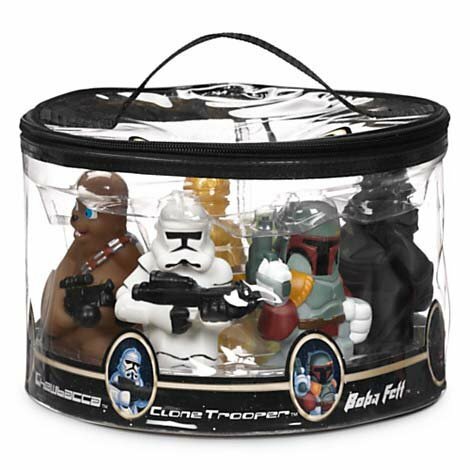 The three main types of bath toy storage containers are nets, scoops, and caddies. 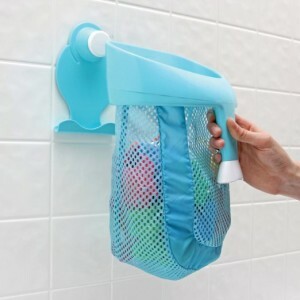 Nets provide pockets that are typically connected to your bathroom wall with suction cups, scoops can conveniently scoop up multiple toys at once directly from the tub and drain from their bottoms, and caddies provide a lot of easy-access storage space while just resting on the tub itself. 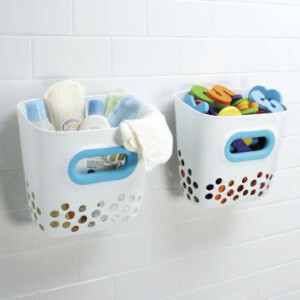 Choosing just one of these is enough for many, but if you have a ton of bath toys you can also combine them for extra storage. 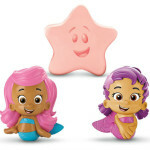 Below we have compared some of the top-rated and best bath toy storage options in the hopes that you find it useful in creating your own organization. Hopefully the comparison chart above has given you a few ideas about which bath toy storage options are right for your tub. If you’re still undecided, read on and we will explore some of the top options in even more detail below. 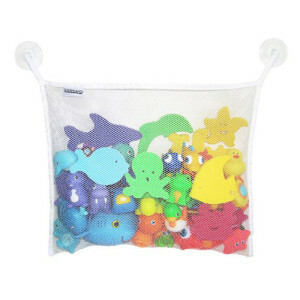 The top-rated bath toy organizer from our comparison chart above is this large two-pocket net from Simple Sprouts. Coming in at 21 in. x 14 in. it is a good bit larger than most every other suction cup net organizer on Amazon (and there are many). To make it even more appealing, this one smartly makes use of that extra space by dividing the net into two pockets, so you can even better organize your bath toys. The manufacturer states that the net is made of a high-quality mesh material that is mold resistant, and that seems to be borne out by the reviews. At 4.9 stars, this is the top-rated bath toy storage product on Amazon and hardly anyone has had anything negative to say about it. With a suction cup product this is especially rare, as suction cups don’t tend to work as well on certain types of uneven bathroom tiles, but this organizers’ extra strength suction cups seem to do the job very well on the surfaces they are designed for. It also comes with two additional extra strength suction cups to provide extra hold, or just to hang other bathroom products from. There is a really cute blue whale design theme among baby bath accessories right now, and fortunately with bath toy storage it’s no exception. While this whale bath toy scoop is made by modern baby design company Boon instead of Skip Hop that does all the other adorable whale accessories, they go together very well. Scoops are a great option for bath toy storage as they allow you to easily scoop up all the toys directly in the bath tub, hook the removable scoop back on its wall mount, and the water will just drain out of the scoop allowing the bath toys to air dry on their own. In the case of this whale pod scoop, the water drains out of the whale tail! How cute is that? Unlike most other bath toy storage options that stick with suction cups, this scoop attaches with a provided adhesive backing. For the few people who might like to make it a more permanent fixture, it also appears to come with hardware for attaching it to the wall. But the reviews for the adhesive backing are very positive, with some customers expressing surprise at just how many toys it can hold. 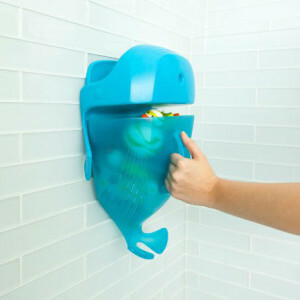 And if that wasn’t enough, the whale’s head also doubles as a soap and shampoo shelf for even more organization. See the full customer reviews and prices on Amazon. If you would like a scoop toy organizer but the animal design isn’t your thing, you can save a good chunk of change by going with this also stylish option from Munchkin. 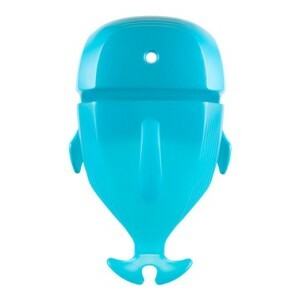 A nice aqua blue color, this scoop has a large capacity that can hold a lot of toys, and even has a cute little rubber fin-like design on the side that adds to the sleek aquatic feel. Another great thing about toy scoops is that some kids even love using them to scoop up all their toys at the end of bath time. It’s like one final game that just also happens to be cleanup! 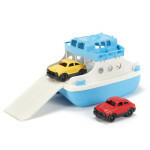 Like other toy scoops, it attaches with strong adhesive strips that are included with the product. The reviews on the adhesive provided are good, but if you experience any problems with it you can easily mount it even stronger by using adhesive strips or hooks from Command that are ubiquitous in any discount retail store. The drainage of this scoop is designed very well, with a hole directly at the bottom as well as several holes throughout the body of the scoop. 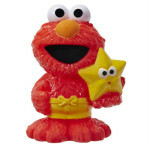 The result is no standing water and bath toys that can air dry and avoid mold build up. 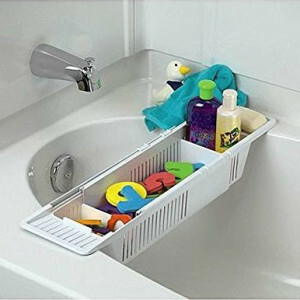 Moving on from the scoops, another surefire bath toy organizer is the classic caddy. 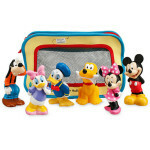 This one from Munchkin is designed specifically for kids and their toys as it comes with two customizable dividers that you can use to separate and organize different toys and soaps, as well as rubber grips that give the whole thing a more kid-friendly feel. It also comes with a detachable soap dish and washcloth hook that make getting clean even that much easier. Besides the customizable dividers, the best thing about this caddy is that it is also extendable. If you have a wider tub, this caddy will extend up to 31.25 inches, making it very versatile and low maintenance as there’s nothing that needs to be mounted or suction cupped. Another great thing about bath caddies like this is that you can use them to keep your child away from the end of the bath tub where they might hit their heads on the bath spout. 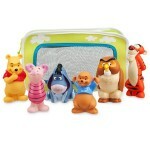 The toys organized right in front of them with no need to stand up and risk slipping is also a nice bonus of this style of bath toy storage. Even with all of the great bath toy storage options we’ve covered above, we’d be remiss if we did not mention this KidKit Pelican Storage Pouch just for its sheer cuteness factor. 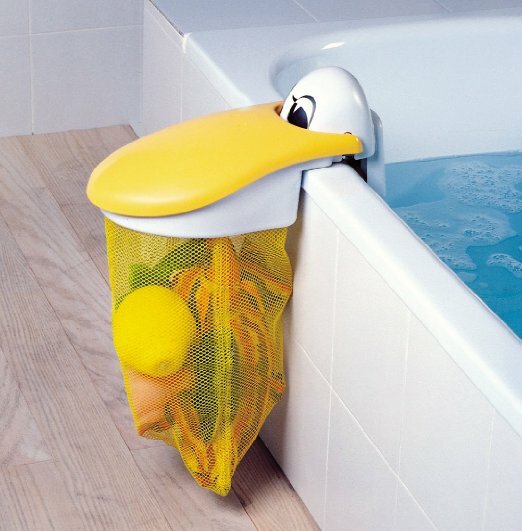 Pelicans are very recognizable for having a large throat pouch where they drain water from the fish they catch before swallowing them, and, well, what a perfect concept for a bath toy organizer where the water needs to be drained from the bath toys! The pelican clips over the side of most tubs and holds on by its own design with no need for suction cups or adhesive. It is designed to be simple to turn around so it is out of the way when adults are using the tub, and inside the bath when kids are in for easy access to their toys. 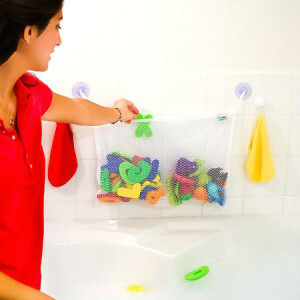 The mesh bag is very large and can hold many toys, and the fact that it is mesh means easy draining and air dry for the toys in between baths. Some reviewers have a hard time with the pelican staying together or fitting their tub, which has resulted in its lower overall product rating, but over 50% of its reviews are 4 stars or higher. So if you like the cute design it can definitely be worth giving it a shot to join the many other happy purchasers that balance it out.